Yes, Let's Encrypt is now one step closer to its goal of offering Free HTTPS certificates to everyone. Let's Encrypt – the free, automated, and open certificate authority (CA) – has announced that its Free HTTPS certificates are Now Trusted and Supported by All Major Browsers. 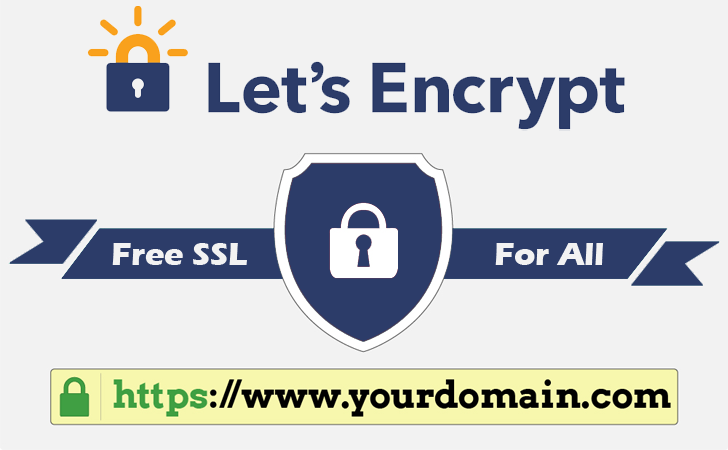 Let's Encrypt enables any website to protect its users with free SSL/TLS (Secure Socket Layer/Transport Layer Security) certificates that encrypt all the Internet traffic passed between a site and users. Not only free, but the initiative also makes HTTPS implementation easier for all website or online shopping site owner to ensure its users that their browser activities and transactions are safe from snoopers. Let's Encrypt issued its first free HTTPS certificate last month and was working with other major browsers to recognize its certificate as a trusted authority. Let's Encrypt has received cross-signatures from SSL cert provider IdenTrust, so it can now begin offering its Free HTTPS certificates more widely to websites, allowing users to browse more securely on the Internet. The Free Certificate Authority (CA) is hosting a Demonstration website at https://helloworld.letsencrypt.org/ where one of its newly accepted certificates is working in the real world without throwing an Untrusted Error Warning in Mozilla, IE, Safari, Chrome and the like. However, Let's Encrypt will begin issuing its Free HTTPS certificates in November. The Open Source Certificate Authority (CA) is run by the Internet Security Research Group (ISRG) and backed by the Electronic Frontier Foundation (EFF), Mozilla, Cisco, and Akamai, among others.